Dreaming of unicorns? In this gorgeous story, you can magically turn into one. (And help a cute squirrel in need.) Life has changed in the most wonderful, magical way since Lei, Isabelle and Cora found they could turn into unicorns. Now the cousins are back in Blossom Wood, helping their friend Loulou the squirrel put on a talent show. They can’t wait to get started, but what’s the matter with Loulou? She doesn’t seem happy at all. 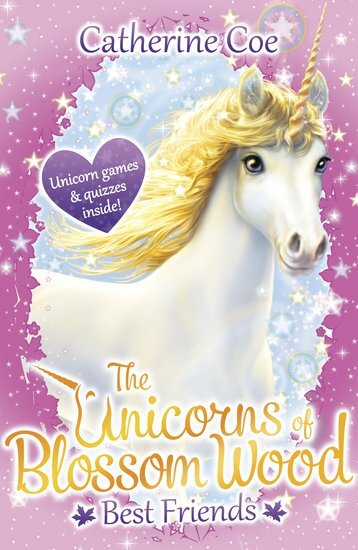 Can the Unicorns of Blossom Wood use their sparkly power to make their friend smile again?